We are happy you are considering St. Stephen School for your child! Applications are submitted online using the link below. Please review the admission requirements below before you begin your application. For questions regarding the application process, contact the school office at 410.592.7617. The child must be three years of age by September 1st, as verified by a Birth Certificate and potty-trained. 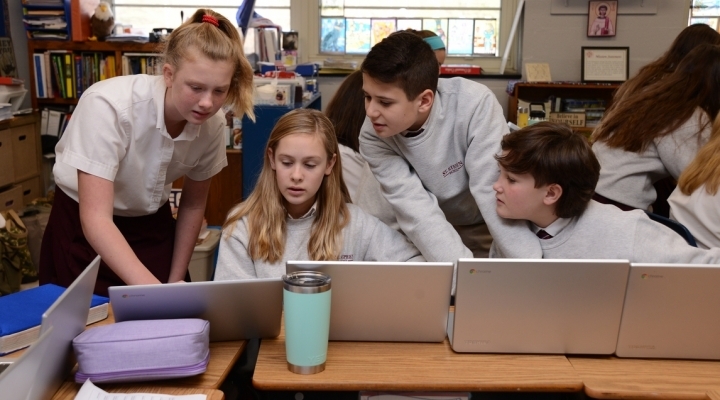 New students in grades 4-8 will be administered a placement test that will be used to help determine placement in the appropriate math and ELA group. Shadow Days at St. Stephen! We encourage all prospective students for grades 4 - 8 to come and shadow another student for the day. Click here to schedule to be an Eagle for the Day!